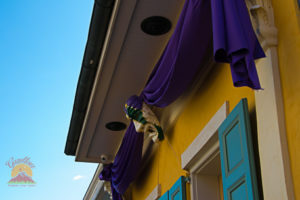 I’m not sure what Jean-Baptiste Le Moyne de Bienville, French explorer and the father of New Orleans, would think of the city he founded if he stood at the corner of Bourbon and St. Louis Streets on Fat Tuesday in 2018. 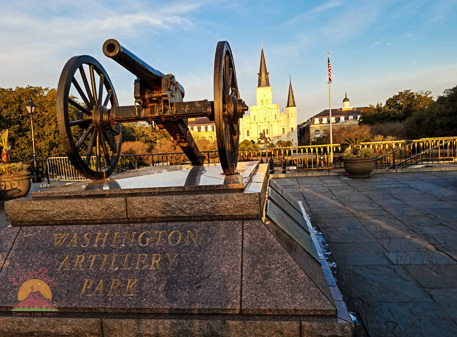 More likely than not, Monsieur Bienville would, like many of today’s visitors (including myself), see the good, bad, and the ugly—and the history—in this city. 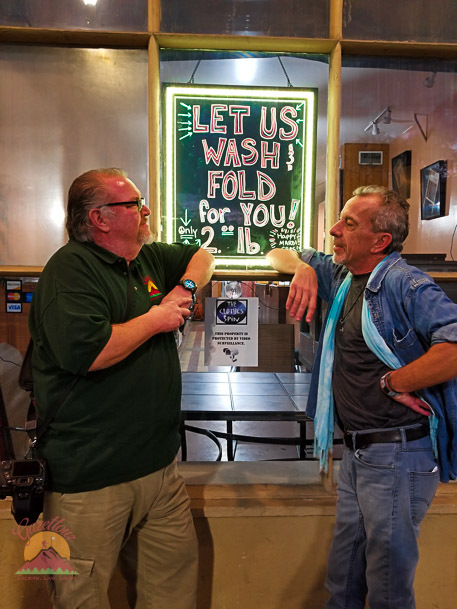 Great food, constant music, rich history and a party atmosphere, alongside a visible presence of the less fortunate, are all subjects you will see as you walk the streets of this town. 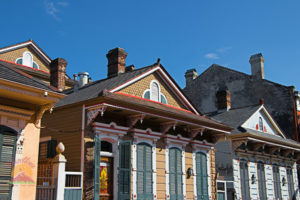 A wide array of people have settled here, some, of course, not returning in the aftermath of Katrina, and the city has a population of almost 400,000 (more than 3,500 of those residents still call the French quarter, which was ravaged by the storm, home today). 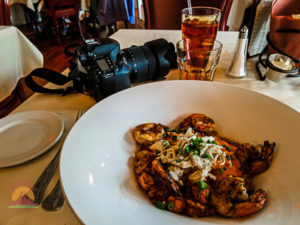 I had never been to New Orleans before this trip, but now that I’ve visited, I could not think of a place better suited for a blogger to find a story. This is my take on this popular destination—and the stops I took along the way. Come to New Orleans hungry, because the food here is fantastic! 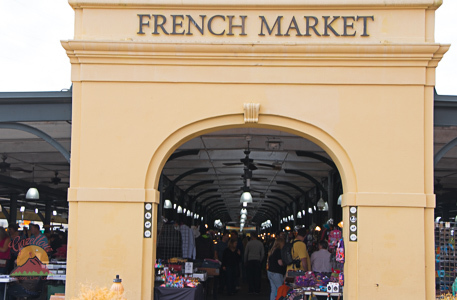 There’s a dash of French, Spanish, African and even Italian flavors in everything you’ll taste. Add in some Cajun and Creole, and be prepared to loosen your belt. I ate a variety of chefs’ creations, such as turtle gumbo from the supposedly haunted Muriel’s Jackson Square and gator balls at Buffa’s, an inviting place with a dive bar feel. 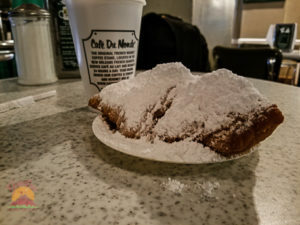 I also grabbed a burger at Port of Call, which boasts the city’s best burger, and of course a classic Beignet at historic Cafe Du Monde. No matter where you eat, you’ll find your plates and bowls filled with rich flavors. The smells and tastes you catch with each bite are something you should take the time to sit down to relax and enjoy. 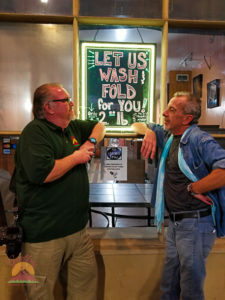 Do not be afraid to search for eateries off the beaten path; you never know what you will find. If you do, you might discover someplace like Angeline’s, an elegant spot with a simple approach to their food. I tried their wrapped rabbit leg, which was a delight to finish—and finish I did. 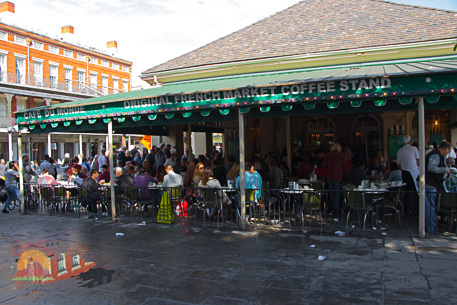 If you enjoy coffee, you will love getting your morning cup in New Orleans, where the addition of chicory root gives the coffee lover instant satisfaction. I spent my mornings charging my soul with good conversation and great coffee at Envie Espresso Bar & Cafe, where baristas keep your coffee cup full and hot, giving you no reason to leave. 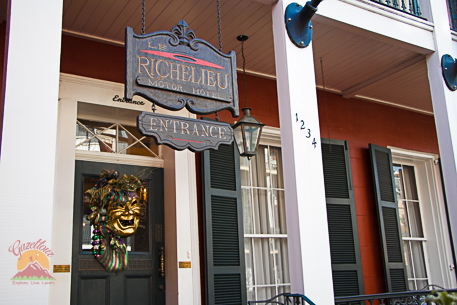 This coffeehouse was just down the block from my home for the weekend, Le Richelieu: a dated, but very warm and cozy, hotel located in the best section (in my opinion) of the Quarter. Let’s face it: Music comes to New Orleans naturally, and it takes up permanent residence in every nook and cranny of this town. By day, music oozes from the streets, and you can’t help but feel it. By night, it gets to know its audience as both parties gather together in dimly lit room after dimly lit room. Music is alive and well in this city, and you can hear its deep roots in every note the musicians play. 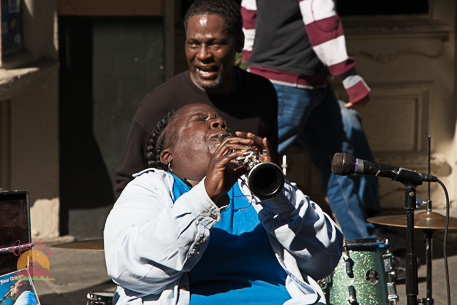 And you will find all kinds of music filling the air in New Orleans, too. New Orleans music is jazz, first and foremost. The genre’s pedigree and influence is well known, with names like Louis Armstrong, Al Hirt, and so many others, getting their start in this town. As an example of the popularity of New Orleans jazz, Hirt’s cover of Allen Toussaint’s song “Java” spent several weeks as the number one hit on Billboard’s Adult Contemporary chart, and made it to number four on the Hot 100 chart, behind only the Beatles and the Four Seasons. But even the Beatles could not defend their spot at the top of Billboard’s Hot 100 chart against New Orleans’s most well-known trumpeter, Louis Armstrong; Louis Armstrong and the All Stars’ “Hello Dolly” knocked the Beatles’ “Can’t Buy Me Love” out of the number one spot in May of 1964. 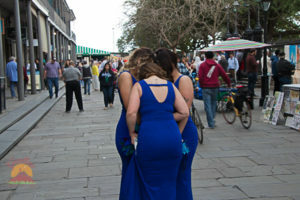 You’ll find other types of music in New Orleans, too. One of my favorite sayings is “sometimes you have to get the blues,” and coming from Chicago, the blues are more than a feeling in the music world: a sensation felt with every guitar string stretched. 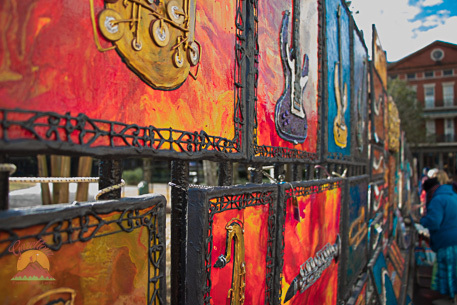 The best place to experience NOLA blues is along Frenchmen Street. I suggest you start this particular musical journey with a drink. Grab one from any of the several libation artists poised for action. Once your glass is in hand, merely walk along the street and listen. 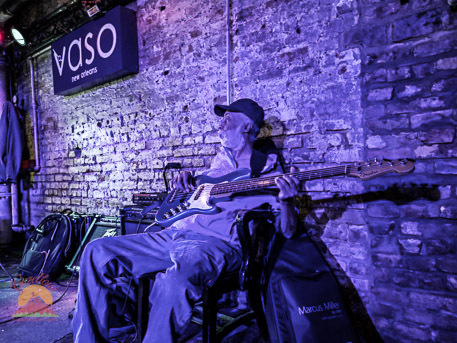 When you hear it—that one groove that grabs you—go on into the venue, and grab a seat. Remember, there are plenty of artists to choose from, so don’t be shy about spreading your time across a few venues. I found it hard to ignore the destitute presence in New Orleans. 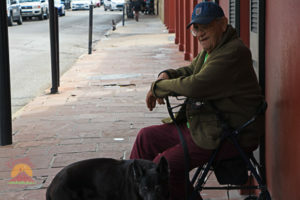 During a visit to this city, you cannot help but notice there are many residents who are experiencing hard times. Not to worry though, you can still wander the streets and feel safe. I never felt uneasy during my late-night strolls. (As you might have guessed, I’m a solo traveler.) I noticed that a lot of these less fortunate people also perform in the streets, playing a music style all their own. They are surprisingly good, and they fill your walk with many a stopping point to listen to them play. Consider offering a goodwill gesture of a drop of your loose change—or something more—into their tip jars. 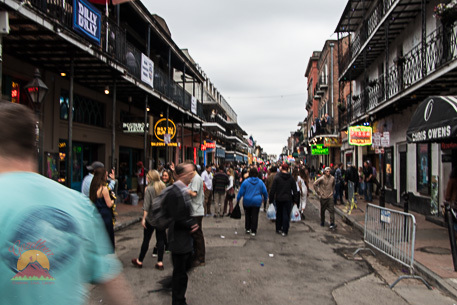 Bourbon Street is the street that never sleeps, but describing it as ugly is only half right. 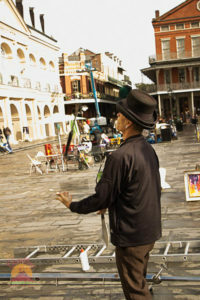 During the day Bourbon street is entertaining, and a must-see. Talented performers play music of the city’s heritage live along the street, and with skill and precision. These gifted musicians set their music stands anywhere they can, and the sidewalks fill up quickly with audiences for those who are worthy. 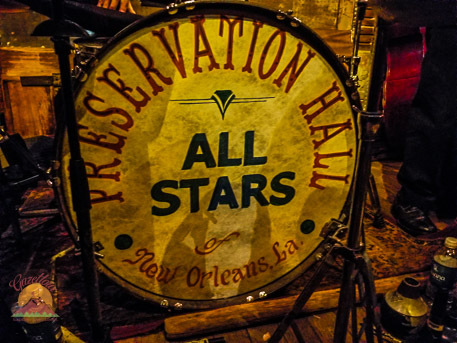 Top among the city’s many music venues is Preservation Hall, with its must-see performances. The family tree of jazz is buried deep inside the Hall’s small, intimate setting. On the night I visited, I grabbed a seat on the floor at the feet of the current trombone player and experienced an extraordinary night of Dixieland jazz. Many other small stages are placed all over this little section on the Upriver side of the historic French Quarter, and most are open for business nonstop. But by night this same section of New Orleans transforms into a party that I chose to avoid. I am by no means telling you not to go, just instead relaying that it is not my cup of tea. I did wander through the mass of other staggering souls mostly to say I was there. This party is likely a blast if it’s your thing, so please don’t take my word for it. Walking tours are very popular in New Orleans, and you should to consider taking one—or several—of the many tours offered. 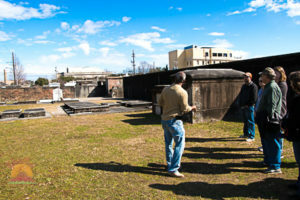 These tours are given by individuals with stories to tell about this city, usually done with incredible flair and passion. Some not quite accurate, as one lifelong resident, who sat with me on the local trolley, told me. He was on his way to a Sunday breakfast and he spoke of his friend’s home, which had become a stop on a haunted tour as a house of murder. (A lawsuit and a permanent court order forbidding any further stops at this place are now the only things left in that story.) My point is that these tours are entertainment, so take that into consideration as you watch your host. I chose to take two of these tours, one with a more famous a subject, and the other something more unexpected. Raised graveyards are popular historic landmarks in New Orleans. This method of laying loved ones to rest is the most unique aspect of cemeteries here, something not found in other places of internment. Most of the city lies under sea level, and as a result, is swampy by nature. 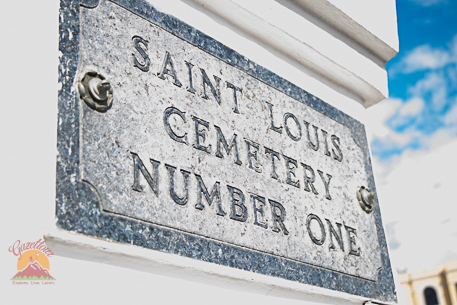 With concerns about the spread of disease from graves coming into contact with water, residents needed a different way of honoring the dead. Burial above ground was the answer, with tombs used for generations, adding remains of loved ones as they pass. 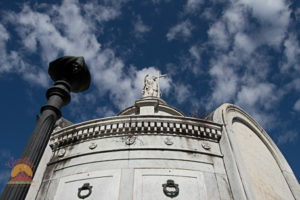 Now, I mention the Catholic Church: expected in connection to a place of rest. 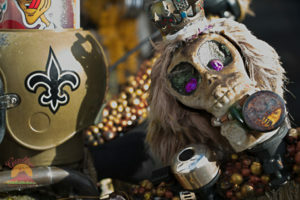 And a contradiction to the Catholic religion is the ritual of Voodoo, based in African spiritual practice, which has been popular in New Orleans. One of the most well-known princesses of Voodoo in New Orleans was Marie Laveau. 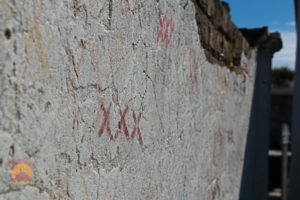 Yet Ms. Laveau is forever at rest in the Catholic St. Louis Cemetery No. 1—or is she? If you want to see the cemeteries in New Orleans, I suggest you take a tour with Ernest Sylvester, a history major who started giving tours when there were only a handful of passionate guides giving tours in the city. Since I was set to sail on a music festival-themed cruise after my stop in New Orleans, I chose to take a music-based walking tour. Enter Chris Rose, whose record in this city is long-lived: a Pulitzer Prize-winning author, a guest of Anthony Bourdain, and a 25-year career writing about the music scene in New Orleans. (You might say he has seen and heard a thing or two.) We spent four hours with Chris as he told the story of music in the city of New Orleans. I found this time indeed a joy. Mr. Rose’s tour included physical excerpts of a book he was writing, told as a theory of the birth of music. At several points, Chris encouraged us to fact check his work via our tag-along supercomputers: our cell phones. I have to say when someone did check, they found his rendition coincided with what they read. I’m not trying to spoil too much of Chris’s tour, but suffice it to say that rock and roll—it was born here. Please give these two a call; your time and money will be well spent. 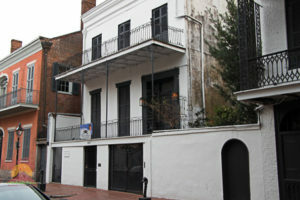 New Orleans also offers everything from the WWII Museum, to the Ogden Museum of Southern Art, to experiencing Jackson Square on a Saturday morning, to getting spellbound at the Voodoo Museum, to simply taking time to walk along rows of classic vinyl at the Louisiana Music Factory (which was one of my favorites). The point is that you will find there is a lot to do in New Orleans. All you need to do is ask yourself the question I do: “What would you do on your day off?” (which I like to do sipping a drink at a local dive bar). Leave the idea of north, south, east, and west at home. 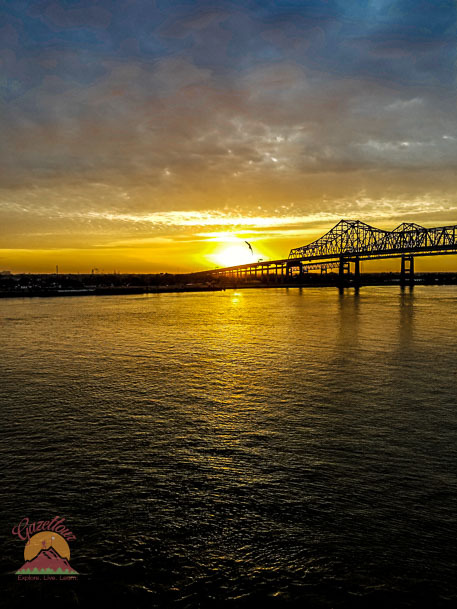 For your trip to NOLA, you should be familiar with terms like the one I used above: names like Upriver, Downriver, Lakeside, and Riverside. Everything is based on geographic landmarks. Take a moment to look at my map, and notice that Lake Pontchartrain is above the city and the Mississippi River is at the bottom. I did not say north or south because, as you will see when viewing the map, the Mississippi River gave this town a unique shape. The natural flow of the Mississippi River also provides direction to the two ends of New Orleans described as “Upriver” or “Downriver.” This unique but straightforward directional code is your key to all things jazz. Plus, transportation is always close and very affordable, giving you the convenience of getting to all the destinations on your list. 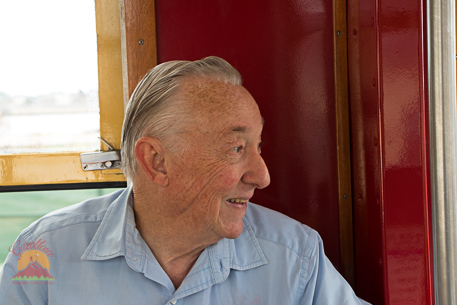 The rides also give you a chance to meet some of the people who make their living here. And keep in mind you will walk a lot in this town, so appropriate walking shoes are a must. 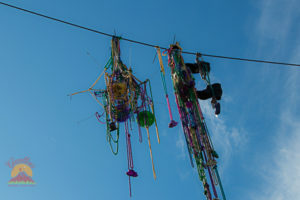 Would I Go to New Orleans Again? YES! I found this to be one of the most entertaining and enjoyable trips I have taken. It was a mix of all things good, bad, ugly and historic, not to mention comfortable, and not too expensive. Just remember this: Whatever it is you do, do something, even if it’s wrong. 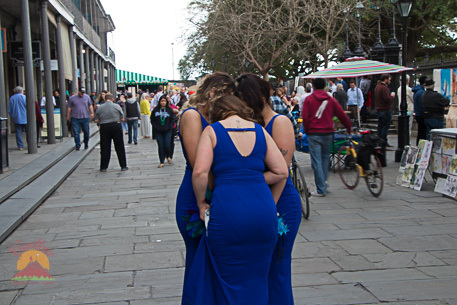 Especially in a place like New Orleans, you never know what you might find when you do.